Finding the right family doctor is a challenge for every growing family. Aim Health has some of the best primary care doctors in Portland so it’s pretty easy to find one in the P-town area. What about other communities? Is it really going to be this easy? Let’s not forget about finding specialists either. You may need to be treated by a Shelton sinus doctor or an oncologist, or a podiatrist, or another doctor in just about any specialty. 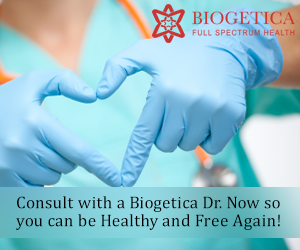 Knowing what to look for and knowing what to consider when choosing this type of doctor for your family will make your life so much easier. With that said, we’ll now take a look at three tips to make it very easy to choose the perfect doctor for your family. First and foremost, you’re more than likely a member of a community of people in a similar situation. You probably know people with young children or similar illnesses that can point you in the right direction of a highly qualified and skilled doctor. As an example, let’s say you have a nine-year-old son and a seven-year-old daughter and you’re looking for a pediatric doctor for your youngsters. Well, they go to school with lots of kids and you’ve gotten to know many of their parents over the years. You can ask the parents you trust for a recommendation and they’d be happy to give you one. Or maybe you have a brother or sister with young children living in the same community. You could call up your relative and ask them the name of their pediatrician and they would undoubtedly be happy to share this information with you. Tip #2: How Convenient Is Their Location? Location is another important factor when choosing a new family doctor. You want your family doctor to be close to home or at least close to the places you regularly spend time in your community. As an example, if you work all day and plan to take your children to the doctor after school, you may want to find a family doctor near their school or near their home. Having to drive all away across town after a long day of school and work isn’t going to be a very popular choice for anyone, yourself included. So, when looking for family doctors, remember to pay close attention to where they are located. In fact, if you have to you should plug their address into a map program to pinpoint their exact location and determine exactly how far it is from your home or school. If it’s going to be a 30-minute drive each way, you may want to find a doctor that’s much closer. Tip #3: Does the Family Doctor Accept Your Insurance Coverage? Knowing whether or not they accept your insurance coverage ahead of time is incredibly important when choosing a new doctor for your family. Why spend your valuable time looking at doctor after doctor if they aren’t going to accept your insurance anyway? That would be a big waste of time on your part. So, before making your final choice, look up every one of the doctors you’re considering and find out which ones accept your insurance coverage. By doing this ahead of time, you can eliminate potential candidates and only focus on those members of your insurance network. Finding the right doctor doesn’t need to be as complicated as it seems on the surface. Remember to take your time choosing a new physician for your family and ask for recommendations, determine if they are in the right location, and most important of all be sure they accept your insurance coverage because paying out-of-pocket is way too expensive these days.